ITANAGAR, Nov 8: The Nyishi Elite Society (NES) has urged Rajiv Gandhi University (RGU) Vice Chancellor Prof Saket Kushwaha to institute an independent inquiry committee to go into the matter of encroachment of land allotted to the university. During a meeting with the VC on 6 November, an NES team comprising its president Bengia Tolum, vice-president (east) Tarh Tabin and general secretary Heri Maring opined that although the land has been donated by the community, it is now not only a state property but a national property, and therefore encroachment on it could not be allowed. 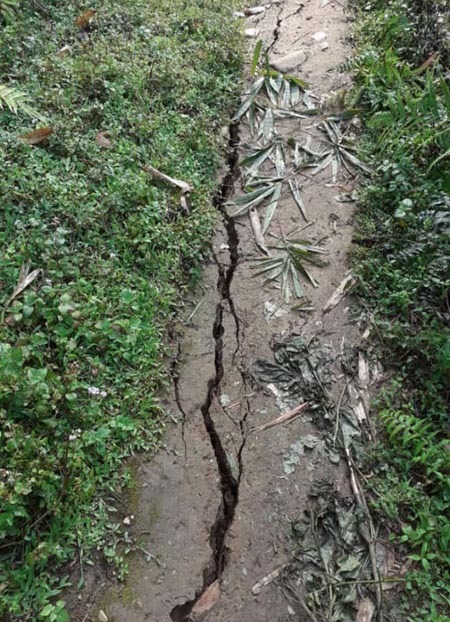 “In case anyone is found involved in the encroachment, appropriate action should be taken against them by the university authorities,” the NES stated in a release on Thursday, and assured to lend logistic support to the university authorities and the district administration in the matter. It also urged the district administration to evict the liquor shops and bars along the university road, right from the Doimukh-Emchi-University tri-junction. “Similar action should also be initiated against such unholy commercial activities in other educational institutions,” it said. The NES observed that the authorities, particularly the then registrar, were silent and failed to bring the matter of encroachment to the notice of the administration. “The involvement of the (then) registrar in the process cannot be ruled out,” it said. The NES meanwhile lauded the prompt initiative of the present VC. “The most interesting part which came up during the course of our discussion was that the allotment order of 17 August, 2010, along with the map, was never disclosed to the new incumbent VC by the authority concerned, and the original allotment order with the map of 306 acres was produced only when the NES team brought out a copy of it in the meeting,” it said. “The reason behind hiding the vital documents despite repeatedly asking for it needs to be pondered over. Out of the encroached approximately 66.14 acres of university land, some portion of the land was meticulously carved out from the original map of 1985 in the revised map of 2010, showing it as private land. This could be possible only if there was connivance of the university employees and the employees of the land records department of the district administration,” it observed. It said the VC disclosed that he was not made aware of the land encroachment when he joined the university but came to know about it through the media later, and later apprised the governor of the matter. The DC has passed an order to the RGU authorities to initiate an inquiry and fix responsibility on its officers and employees for negligence and dereliction of duty. The administration has also ordered the Doimukh sub-divisional officer to evict the illegal encroachers as per the provisions of the Arunachal Pradesh Public Premises (Eviction Act of Un-authorize occupants) Act of 2003 within a month, the release added. Later, the VC took the NES team to the newly-constructed academic buildings, where they witnessed the multiple major cracks and seepages in the building. Briefing the NES team, the VC expressed displeasure over the quality of works on the newly-constructed building and directed the RGU EE to take immediate steps to avoid any untoward incident, insisting that the quality of work would not be compromised with at any cost, the release said. Meanwhile, the NES has entrusted its Papum Pare district unit, under its secretary in-charge, to start a dialogue with the encroachers and coordinate with the university authorities and the district administration for immediate restoration of the university land. The NES team called on the RGU VC after Governor BD Mishra urged the NES to intervene and find an amicable and lasting solution to regain the RGU land from the clutches of the encroachers.